Arrival in Arezzo visit to Saint Francis Church with the beautiful paint of Piero della Francesca and Luca Signorelli. Visit to house museum of Giorgio Vasari. In the afternoon leaving for Anghiari one of the most beautiful medieval town in Italy, known for the battle painted from Leonardo da Vinci. Accommodation in farmholiday in Sansepolcro, tipical dinner and overstay night. 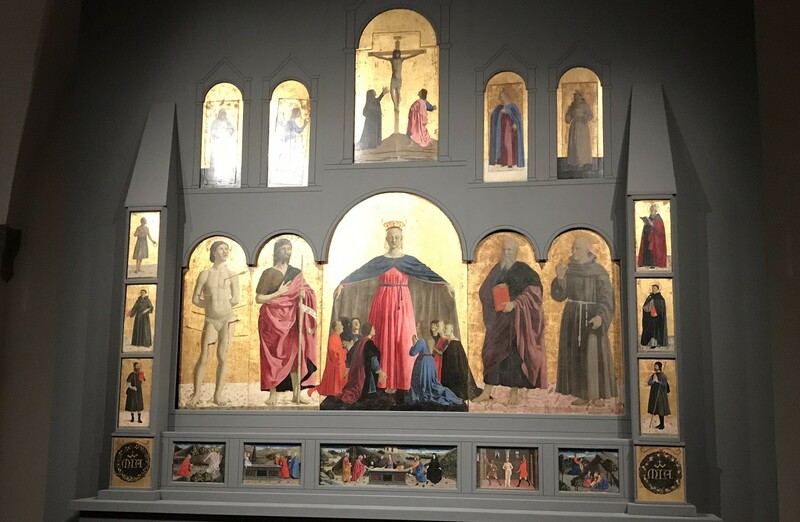 Visit of Sansepolcro, beautiful native town of Piero della Francesca,where you can admire the famous paint of Resurrection recently restored. Visit of Aboca Museum, the original and the only Herb Museum, has rediscovered the history of the millenary relationship between Man and Herbs. Return to hotel, dinner and overstay night. Visit of Città di Castello, to the magnificient Cathedral and the Circle Tower: from the top you can admire the beautiful Umbrian town. Wine cellar guided tour and wine tasting.